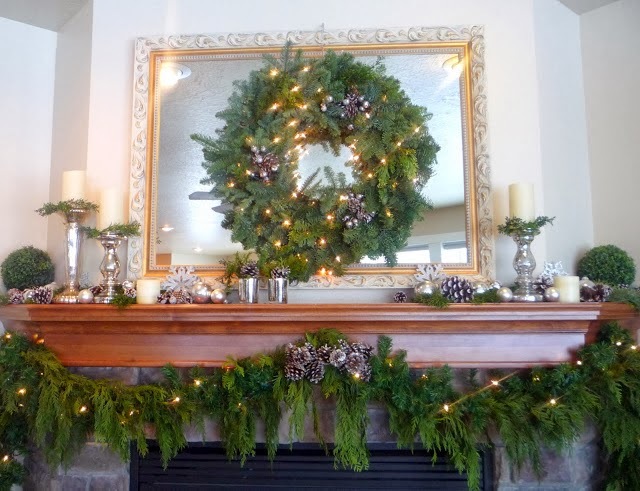 The fantastic holiday decorating tips keep coming this week! The next one is from a friend of mine, Melissa Lewis. Melissa is a talented interior designer in town and owner of her own firm, MKL Designs. Melissa has a great tip for the busy person this holiday season. Can you guess which have faux garland and which don’t?? Many Many Many thanks to Melissa! !